Just as he did in Homemade Sodas, author Andrew Schloss clearly explains the process for making beverages in the home kitchen. In Homemade Liqueurs and Infused Spirits, he begins with the basics of how to make liqueurs and then moves into 155 specific recipes organized by flavourings, which include fruit, vegetables, herbs and spices, nuts and seeds, floral notes, coffee, tea, and chocolate, as well as cream, caramel, honey, and butterscotch. There's even a section on infused spirits, which don't contain sweeteners. 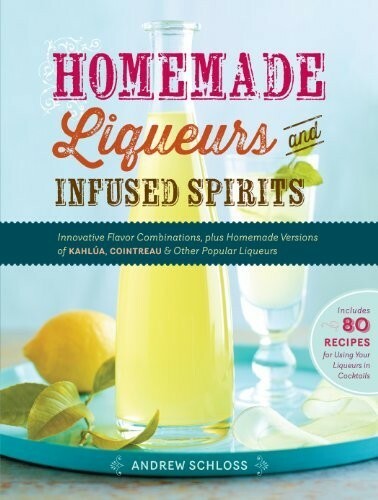 The last section is filled with 80 recipes for cocktails arranged by type of liqueur. It's a one-stop shop for making fantastically flavoured drinks.